Remove hurtles for your potential players. Let them choose their own username and password! The registration process is one of the most important a gaming portal has! But sometimes I see solutions aren’t the best from a player’s point of view. Today I saw another example when I signed up for bet-at-home.com. The good thing with the registration form is that you don’t have to fill in too much information to get started. The bad thing is that you can’t choose your own username or password! 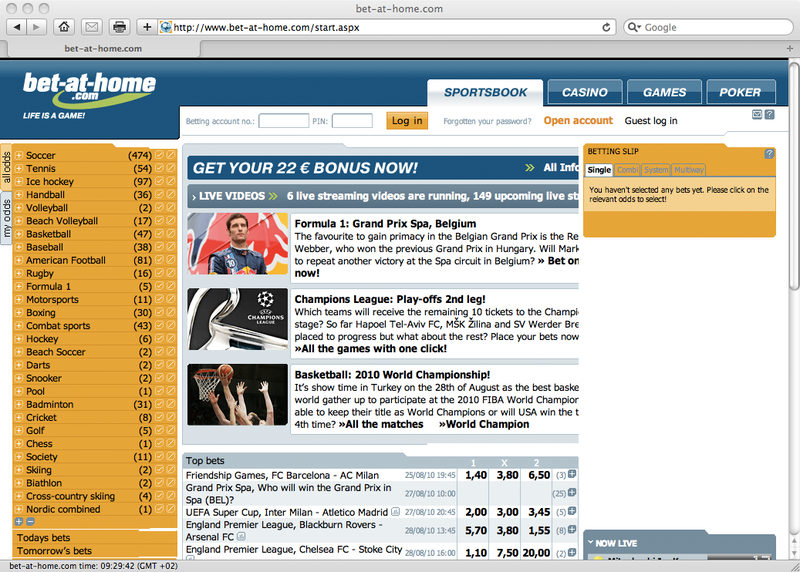 Bet-at-home.com choose to send you an account number and a PIN code insted. This is bad because many players don’t just play on one gaming site and having to remember a new username and password will just add a hurtle when it comes to start playing. It is possible to change the pre selected PIN code but only to a PIN with the same number of characters. Give the player the option to choose their own username and password and you’ll make it easier for them to start playing and come back to play!